A smart solution to everyday storage problems. 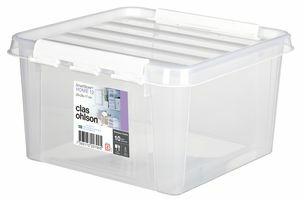 A practical and versatile solution for organising used or utilising unused storage space. 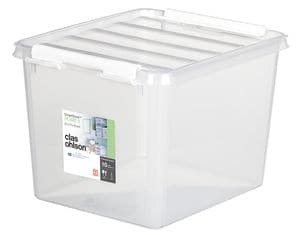 Timeless, thoughtfully designed SmartStore Home containers for use in the home, garage, shed, etc. Your imagination is the only limit. 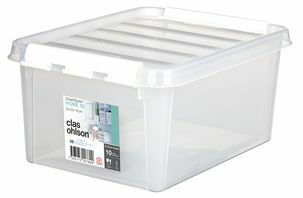 The Home series consists of a number of variously sized strong and durable storage boxes with clip-on lids. 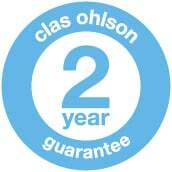 They are ideal for protecting their contents from dust and dirt and are made of food grade, recyclable material. 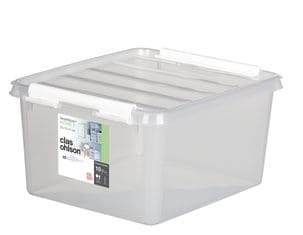 Each clear plastic box in the series is safe to use at temperatures ranging from as low as -40 °C up to +120 °C. The series is also compatible with a number of useful box inserts to help you expand and make the most of your storage space. 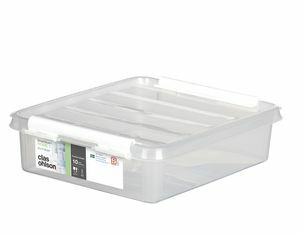 The insert containers, bins and trays for the SmartStore boxes are sold separately.